This stylish complex is set in terraces overlooking Praia Da Ouras lovely beach. Picturesque Albufeira is just a little away and is easily reachable by the apartment's daily bus service. Club Praia Da Oura is a very stylish holiday with a large swimming.. This complex is located in Praia da Rocha, one of the most popular and famous resort in the Algarve, very close to the beach and within walking distance and within walking distance from the main avenue.This category provide well decorated and spacious..
General Description: Clube Praia Mar in Praia da Rocha has 176 rooms, spread over 16 floors. The hotel is located 250 m from the sandy beach. The closest cities to the hotel are Lagos (25 km) and Carvoeiro (15 km). To make your stay more comfortable an.. Situated in the port town of Portimao, in south Portugal, the Clube Vilarosa Hotel accommodates families, couples, and small groups, who are coming to visit the Algarve. Many of the local areas destinations and points of interest are convenient to the..
General Description: Clube Vilarosa Apt Turisticos is located 500 m from a sandy beach. The closest cities to the hotel are Carvoeiro (15 km), Lagos (20 km) and Portimao (2 km). To make your stay more comfortable a reception is available. A playground.. 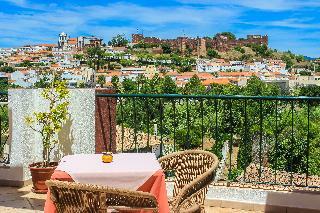 This hotel is centrally located in historic Albufeira, just 200 metres from the beach. The town centre square with its scores of shops, restaurants and bars, and a lively nightlife, is 200 m from the hotel. The hotel is well situated for access to public.. The Colina Do Mar Hotel is centrally located in a quiet area of the Old Town of Albufeira, the hotel is close to the central town square and the white sandy beach. There is easy access to the beach and to all live entertainment and excitement provided..